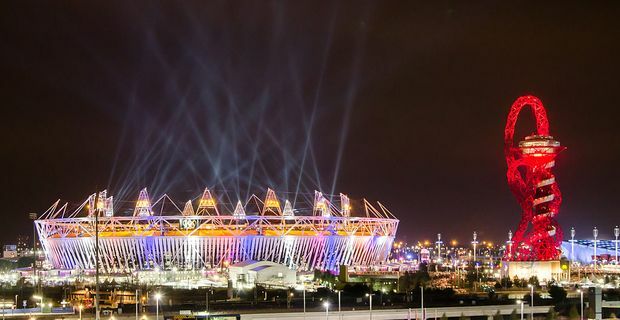 Underworld have been talking about their involvement in the memorable opening ceremony of the London Olympic games. The electronic duo worked closely with director Danny Boyle to compose and compile the soundtrack to the night. They had began their fruitful collaboration with Boyle 16 years previously when their track 'Born Slippy' became the standout song on the Trainspotting soundtrack. Rick Smith explained the thinking behind the Olympic music to the Guardian. "Danny was determined to 'break the curse' that accompanied shows of that scale. If there were elements that made us laugh or things that we loved for whatever reason, we kept them. We threw the supposed rulebook out, avoided the rubbish." Smith said that Boyle’s vision and spirit of adventure invigorated everybody involved in the ceremony. "Danny wanted to frighten people," he said about the musical concept. "He was certain that by the end, people had to be going: 'Christ, you can't possibly do that to us for the next three hours.' All the way along, he'd leave you with a sentence like that. That's the kind of direction that leaves you empowered." Smith was taking a break in the stadium just before the British team entered, to the strains of David Bowie’s 'Heroes'. "I sprinted back in, arriving just as 'Heroes' came on to see the place just explode. I ran halfway round the stadium to get to the control room. When I fell inside, we just started screaming our heads off like kids, singing along so badly. It was a moment of total and utter joy."